Welcome to Rosalind Miller Cakes, a London-based cake studio, creating luxurious, contemporary wedding and celebration cakes. Fusing exceptional design, exquisite craftsmanship and the finest ingredients, our delicious wedding cakes, cupcakes and dessert tables are the perfect accompaniment to all of life’s celebrations. Our cakes are enjoyed at weddings and anniversaries, birthday parties and baby showers – any occasion that calls for a sweet treat! From tiered wedding cakes adorned with sugar flowers to dainty cupcakes topped with buttercream, delicately iced biscuits to melt-in-the-mouth macarons, we put love and care into every bite. We also run cake baking and decorating masterclasses and aProfessional Master Diploma in Cake Making and Decorating at our cake school, Rosalind Miller The Studio. If you’re looking for the perfect edible finishing touch for your event, we’re here to help. Get in touch today to find out how we can make your special occasion even sweeter! 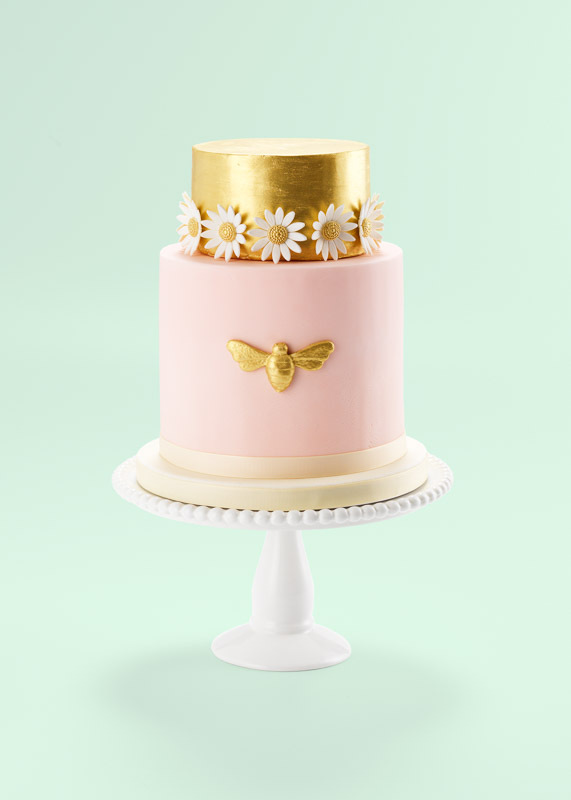 Our new ready-to-order luxury cakes & confections are now available online. Our exquisitely designed and beautifully flavoured range of celebration cakes and confections can be baked, boxed and delivered to you, for any occasion, within a matter of days.